Skye Gravestones | Sean David Simpson. 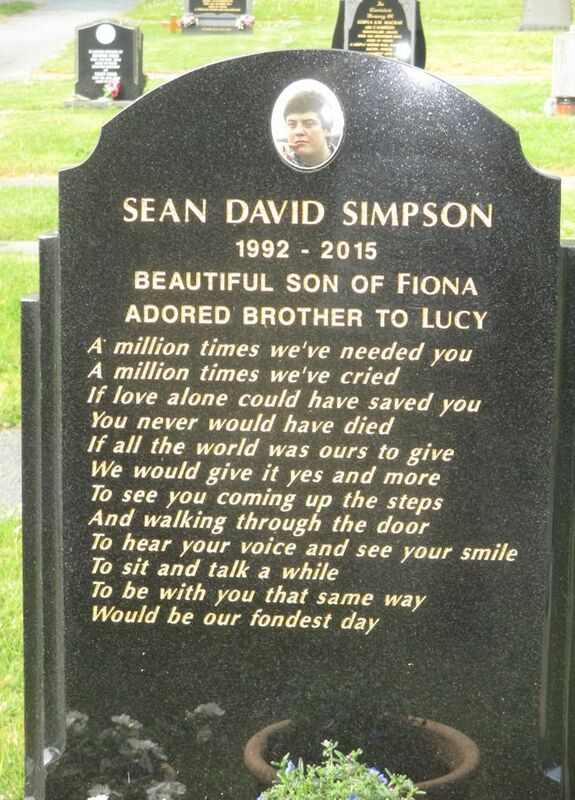 SEAN DAVID SIMPSON/1992-2015/beautiful son of FIONA/adored brother to LUCY. A million time we've needed you/a million times we've cried/if love alone could have saved you/you never would have died/if all the world was ours to give/we would give it yes and more/to see you coming up the steps/and walking through the door/to hear you voice and see your smile/to sit and talk a while/to be with you that same way/would be our fondest day. Picture Added on 18 June 2018.